Breakdown in communication during transition of care may result in adverse events. The Joint Commission listed the implementation of a standardized approach to “handoff” communication, including an opportunity to ask and respond to questions, as a requirement for hospitals. This chapter discusses why we have handoff checklists, will present data that handoffs make a difference and give guidance as to how to implement checklists. This chapter is an introductory “white paper” into the need for handoff checklists in the CT surgical intensive care unit. It was presented at the 2018 Annual Meeting of The Society of Thoracic Surgeons (STS). 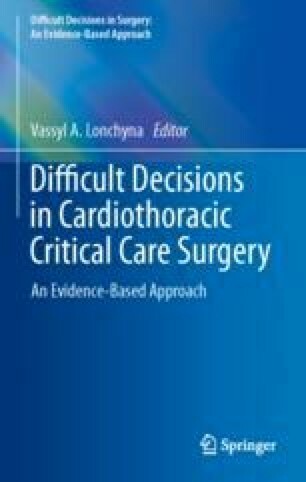 The STS Workforce on Critical Care took up the task of performing a systematic review of this topic and is in the process of preparing a Practice Guideline on Handoffs from the OR to Cardiothoracic Surgical ICU that will be published in The Annals of Thoracic Surgery in 2019. The reader is encouraged to download this document ( https://doi.org/10.1016/j.athoracsur.2018.11.010) for a full evidence based medicine review, critique and recommendations of this important ICU communications tool. https://psnet.ahrq.gov/perspectives/perspective/170/handoffs-and-transitions. Accessed 2 Jul 2018. Human Factors Report on the Tenerife Accident. Air Line Pilots Association of the United States. 1977. https://www.webcitation.org/5zRT8z0Rm?url=http://www.project-tenerife.com/engels/PDF/alpa.pdf. Accessed 2 Sept 2018.